Our top of the line gaiter, updated from top to bottom for even greater fit and comfort. 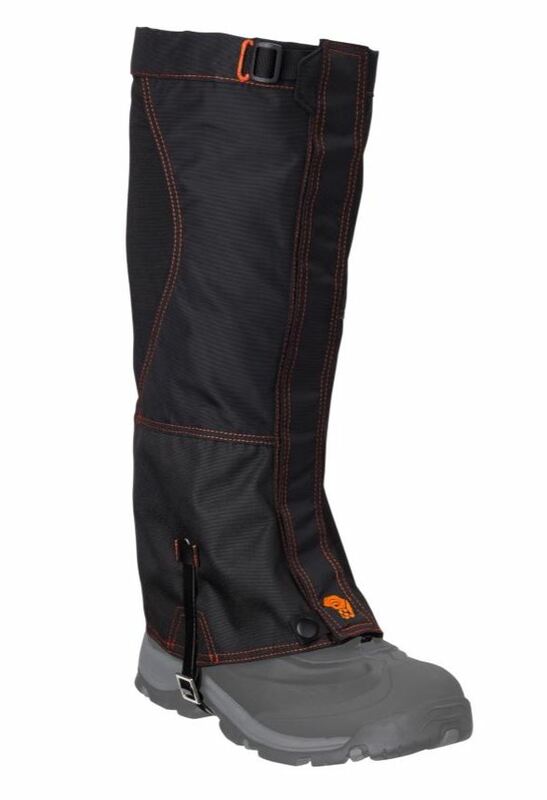 Designed for mountaineering and backpacking, this snug-fitting gaiter will protect you from dirt, scree, debris -- even crampon snags, thanks to extra heavy-duty fabric shielding your instep. Yet the stretch back panel and elastic top strap ensure ultimate comfort and uninhibited range of motion. The top of the gaiter secures with a simple ladder lock that works like a climbing harness for secure, fasten-once-and-forget-it convenience. Redesigned foot straps are adjustable from either side and repairable in case they ever break in the field. Weight: 10.7 oz. / 304 g.